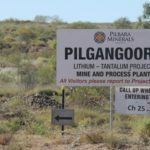 Pilbara Minerals has set out ambitious plans for its Pilgangoora lithium-tantalum project in Western Australia, including commissioning of a stage three expansion to 7.5 million tonnes as early as 2021. 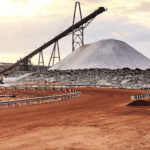 The company is capitalising on recent Asian investment in Pilgangoora to grow the project as it also prepares to launch commercial production in the current quarter. 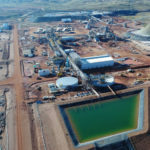 Pilbara Minerals managing director and chief executive officer Ken Brinsden said strong financial support for the stage two expansion had encouraged the company to start studies for a stage three expansion that could see a 50 per cent increase on the proposed second phase. “Our customers continued to show strong support for the project’s future by underpinning the funding package for the stage two expansion and encouraging us to continue to expand, which will now see us embark on studies for a possible stage three expansion of up to 7.5 million tonnes per annum,” Brinsden said in a quarterly update. The company’s $US25 million ($35.3 million) financing package with Great Wall Motor Company and $50 million equity placement with Ganfeng Lithium are cornerstones of Pilbara Minerals’ $231 million stage two funding to raise capacity to 5 million tonnes per year. Brinsden also commented that the non-binding memorandum of understanding (MoU) signed with Posco for the potential expansion of a lithium conversion facility in South Korean to 40,000 tonnes per year was a “clear indicator of the exponential rate in which the South Korean lithium market is growing”. According to recent statistics from Ken Research, the South Korean lithium-ion cell and battery market is expected to reach 22 trillion Korean won (27.5 billion) by 2022 due to rising demand for electric vehicle (EV) battery components. “I am excited for us and our shareholders that through this partnership we are positioned at the forefront of this emerging market,” the CEO continued. Pilbara Minerals produced 47,859 tonnes of lithium spodumene concentrate (46,682 tonnes in sales) and 56,634 pounds of tantalite concentrate (27,821 pounds in sales) in the quarter. The company achieved an average of 85 per cent on its targeted annual stage one throughput of 2 million tonnes per year.